“Don’t move. The money belongs to the State. Your life belongs to you.” Everyone in the bank laid down quietly. This is called “Mind Changing Concept” Changing the conventional way of thinking. The older robber rebutted and said: “You are very stupid. There is so much money it will take us a long time to count. After the robbers had left, the bank manager told the bank supervisor to call the police quickly. But the supervisor said to him: “Wait! Let us take out $10 million from the bank for ourselves and add it to the $70 million that we have previously embezzled from the bank”. Personal Happiness is more important than your job. 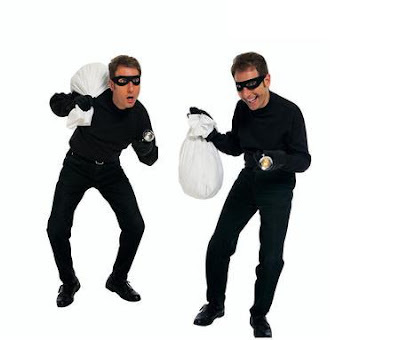 The robbers were very angry and complained: “We risked our lives and only took $20 million.